Dill Vitality Essential Oil Dietary Oil Herb Up! Herb Up Your Sauces, Dressings and Dips! Dill vitality essential oil for dietary purposes uplevels your sauces, dressings, soups and dips! Fresh dill being is a key ingredient and flavor in so many traditional Asian, European, Russian, Mediterranean, and Scandinavian dishes but sometimes hard to get. Problem Solved! Now use therapeutic grade dill vitality oil in all your favorite recipes! Or put a few drops in a capsule and take as a dietary supplement. Either way Dill vitality oil will be a great addition to your oil collection! Want more information on Dill Essential Oil? Keep reading below! It will tell you how to use it and what to use it for. It will also provide you with some fun suggestions, safety precautions for you and your pet! As I receive new tips and testimonials for Dill oil they will be added to the page, so check back frequently! Want to Purchase Therapeutic Dill Vitality Essential Oil? Go to the Oil Shop! 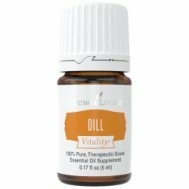 Buy Dill Vitality Oil Here! Why is this information important? Dill is the only species of the genus Anethum. However, it is good habit to purchase your oils using the common name and scientific name (genus species) as well. Too many companies are selling oils generically and they are not for therapeutic use! What is the Origin of the Plant Name? Dill comes from a Saxon word "dilla" or "dillan" meaning "to lull". What are the Documented Uses for Dill? Support healthy digestive system*. Cooking and culinary uses. 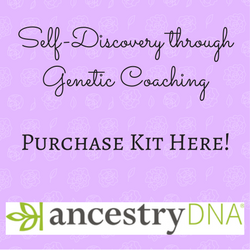 Want to Learn about Dill's Emotional, Spiritual and Other Uses? Then go to Benefits of Dill Essential Oil Page! Place in favorite sauce, soup, marinade or dip recipe. Can this Oil be used for Animals? Yes, Always start slow. With a small dog or cat use a toothpick amount to start. (Dip toothpick in bottle to get that amount). Dilute extremely well! Note about Animal Use: Certain oils can be very toxic to cats. Pine and citrus oils in particular that are not of therapeutic grade! Please consult your vet if you are not sure about applying any essential oil to your pet. Because it is approved as a Food Additive (FA) by the FDA, Dill Oil is readily available on the market in many different qualities, so please know your source. There are many Dill uses because it is Generally Regarded as Safe (GRAS). Although it may be used as a dietary supplement, it is advised not to use it in this manner for children under 6 years of age. People with epilepsy should not use Dill. Did you know that the Ancient Egyptians used Dill as an ingredient in a pain mixture? Place Dill Essential Oil with Lemon Vitality to create an awesome marinade or dressing!